"There are many different ways we can hear God. Most of us unfortunately, think we just need to hear him one way. But God uses so many different ways in which we hear him by in our lives. 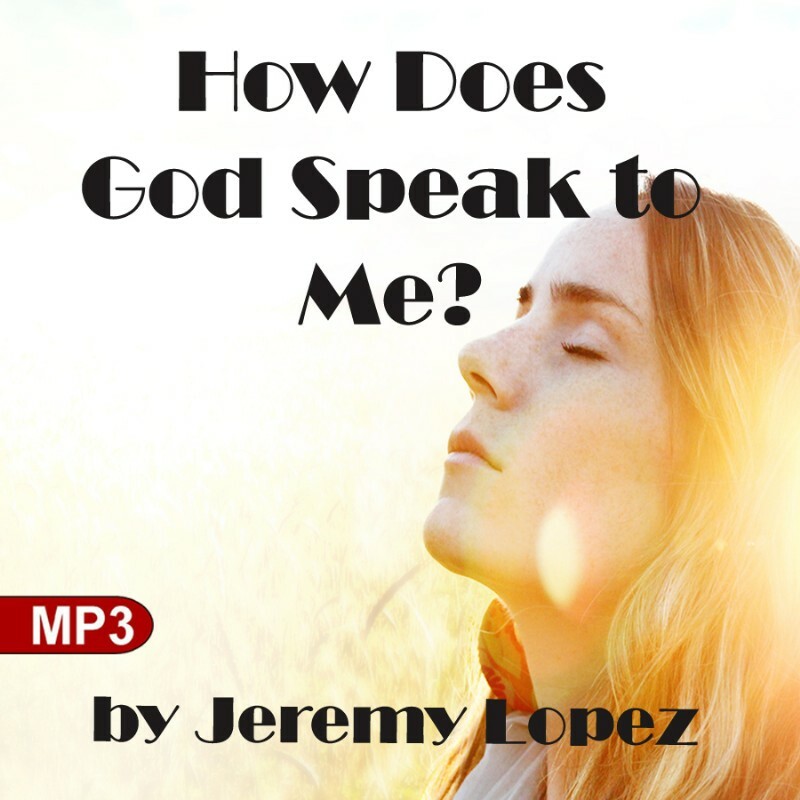 In this teaching, Jeremy Lopez brings forth the different ways that we do hear God each and every day of our lives. This teaching will set you free to understand how you already know the voice of God in your spirit"
Dr Jeremy Lopez is an international teacher, life coach, dream coach and motivational speaker. Jeremy speaks on Biblical principles and universal kingdom laws. He has a love for all people and desires to enrich and empower them to be successful. Jeremy believes it is time to awaken the treasure within people to live out the victorious life that was meant for us. His desire is to live a life filled with purpose, potential, and destiny. This is accomplished through conferences, seminars and one on one life coaching sessions. He serves on many governing boards and speaks to business leaders across the globe. He has coached and prophesied to those such as President Shimon Peres of Israel, Prime Minister Benjamin Netanyahu, Governor Bob Riley of Alabama, millionaires and so many others in the political field. He has travelled to many nations and has hosted and been a guest on several radio and TV programs from Indonesia to New York. He is the author of nationally published books and E-books, including his newest book, Creating Your Soul Map: Manifesting the Future You with a Vision Board, Creating With Your Thoughts, The Universe is at Your Command, Abandoned to Divine Destiny, The Power of the Eternal Now, Releasing the Power of the Prophetic, Awakening to Prosperity, You Were Born to be An Entrepreneur, Divine Direction for Finding Success, Birthing Forth Your Prophetic Word, Power Attraction and many more! He also has many courses and schools such as School of the Law of Attraction, School of Thought, Visualization and Imagination, School of Seers, Dreamers and Visionaries, School of Financial Perception and Mental Economics, School of the Prophets Complete Course, School of Dreamology, School of Awakening into Christ Consciousness and many more! Jeremy has been recognized by many leaders around the nation.